Ask your closest friends that all-important question with grace and style. 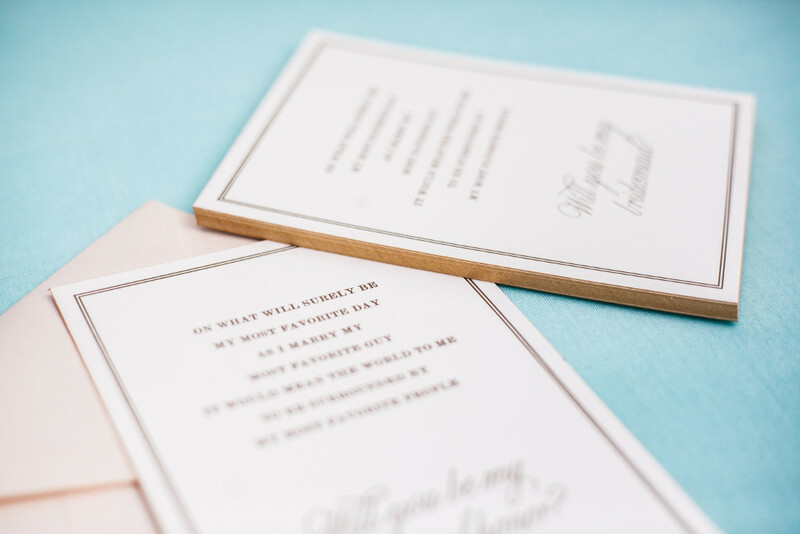 These timeless and beautiful cards are elegantly letterpress printed with matte gold ink onto fine cotton paper, finished with a metallic gold edge painting and paired with delicate metallic blush envelopes. 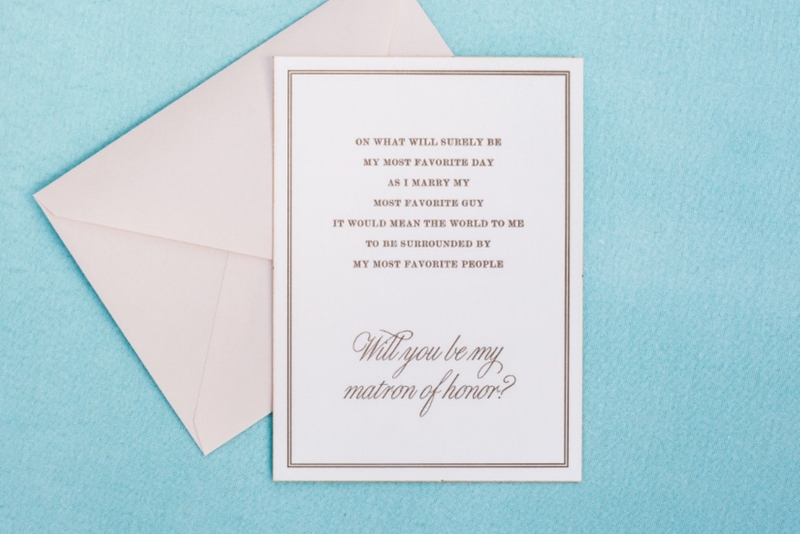 Be sure to add a special card for your bridesmaid(s) or maid(s) of honor too!